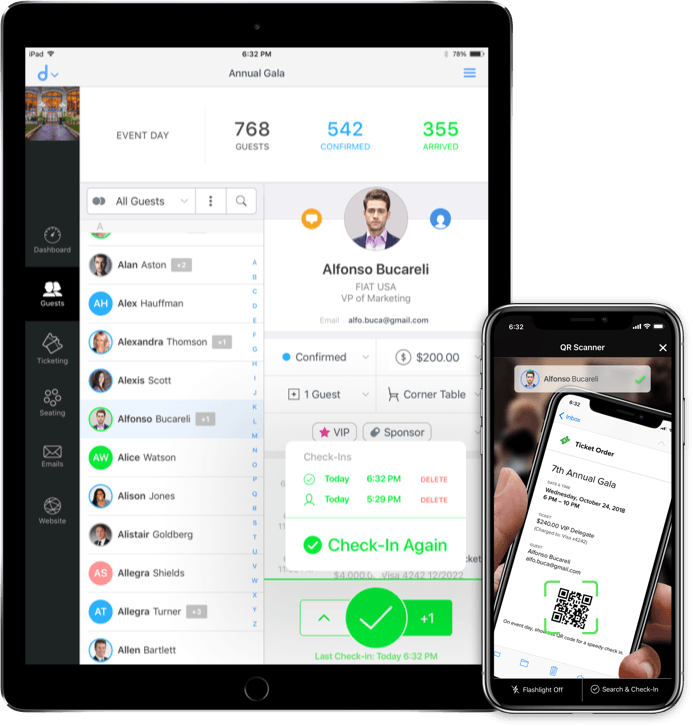 The most advanced platform for managing events and guests. 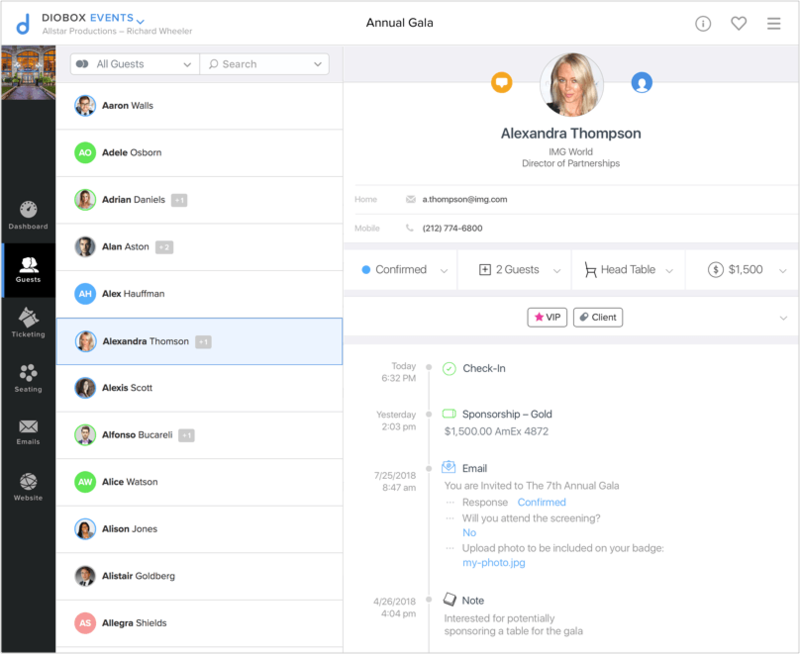 Diobox provides everything you need to efficiently manage your guests and their plus-ones. Import existing guest records and retain all custom contact information. Then categorize your guests based on their confirmation or seating status. To further segment your guests, create additional lists and tag them to your guests. 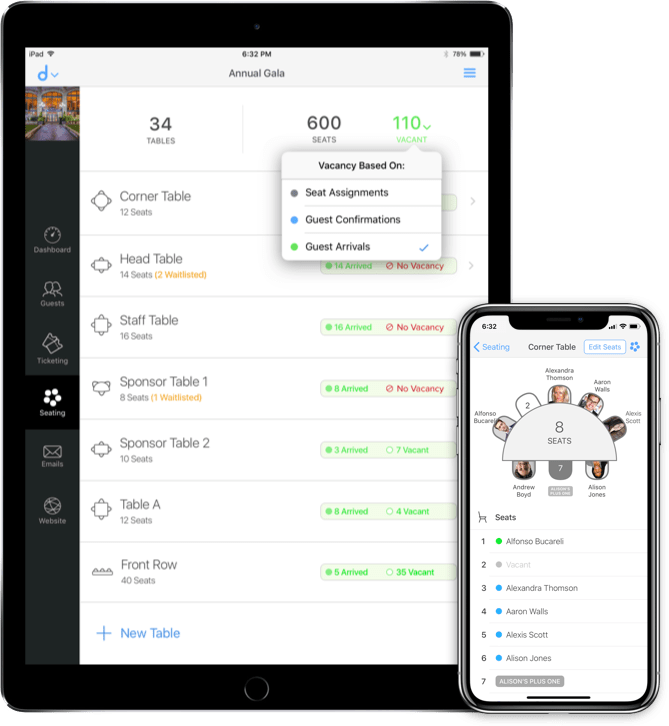 Use the Diobox built-in CRM module to keep track of guest preferences, travel plans, and other activities to personalize their event interactions. On event day, the Diobox iPhone and iPad app allows you to browse, search or scan invitation QR codes for instant check-in. You’ll be able to check-in each guest (or their plus-ones) multiple times and track their location. For select guests, you can also set alerts so that your team is notified upon the arrival of those guests. All of your devices are synced in real-time. But even if lose your internet connection, you can continue to use the app through Offline Mode. And as soon your device is reconnected, new information will be synced instantly. All of this happens without any input from you and without a sync button! 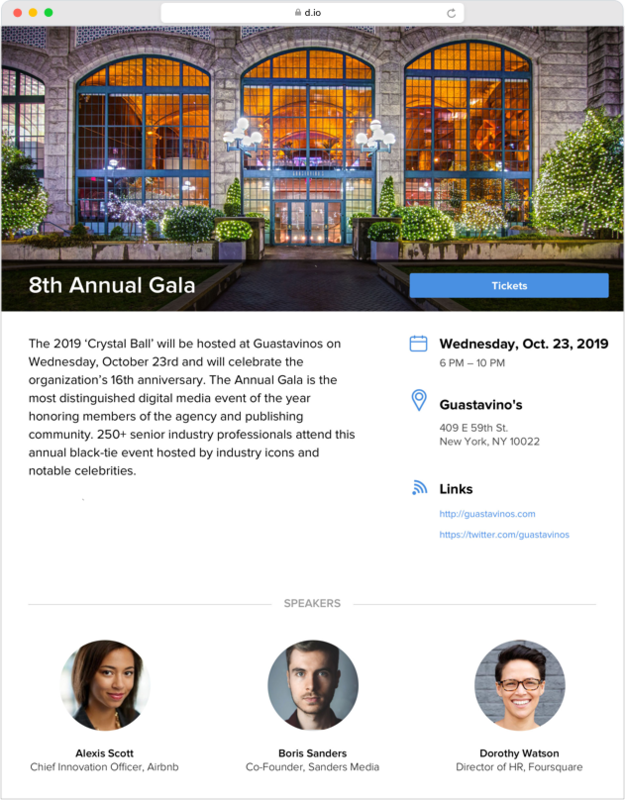 Build a customized website and include an integrated program guide with speaker profiles and an event agenda. If you’re selling tickets, you can personalize your RSVP form and add custom registration questions. This creates a branded and pleasant experience for your guests which looks great on every device. After publishing your website, increase your event attendance with smart marketing and sharing tools. Site, Or At The Door! Use our platform to sell ticket or integrate tickets (and the entire RSVP process) on your own website by embedding a small snippet of code. And on event day, your iPhone or iPad turns into a Point of Sale stand to accept credit cards, checks and cash. 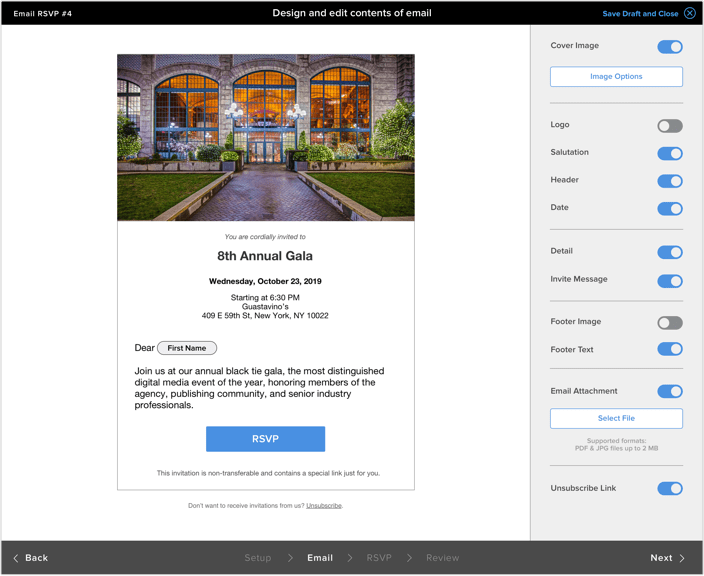 Diobox has a special email invitation feature built for private events. By generating unique non-transferrable emails, you gain control over attendance. Also, the easy to use registration process (with optional questionnaires), encourages your guests to RSVP with 1-click confirmations. Build custom seating diagrams fast and share them with your clients. Then on event day, see a breakdown of vacant seats based on guest arrivals. That way, if someone with an assigned seat doesn’t show up, you can swap seats quickly. 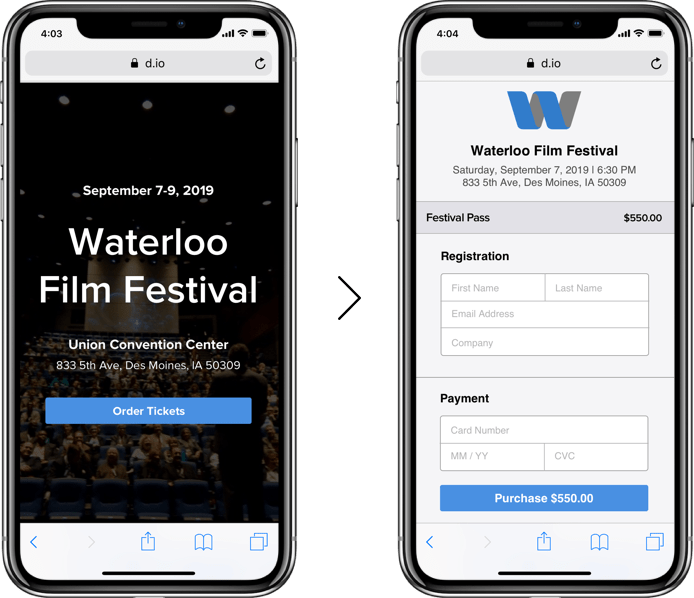 With advanced features like, waiting lists, seat blocking, and plus-one seating, you can manage complex event seating on-the-go with a few taps on your iPhone or iPad. Diobox is free on both mobile and web to create events, design a website, sell tickets, check in, and manage your guest lists.